Get Your Free Second Saturdays Passes for November Now! 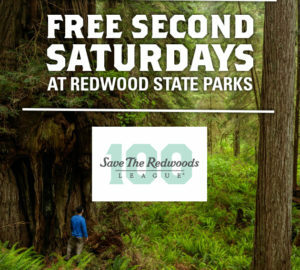 Every second Saturday of each month in 2018, Save the Redwoods League and California State Parks will be hosting a Free Redwoods Day. Parking passes are available on a first-come, first-served basis each month, ahead of the next event. Our next event is on November 10 — download your free pass now! Get Your Free Second Saturdays Passes for September Now! Every second Saturday of each month in 2018, Save the Redwoods League and California State Parks will be hosting a Free Redwoods Day. Parking passes are available on a first-come, first-served basis each month, ahead of the next event. Our next event is on September 8 — download your free pass now! Get Your Free Second Saturdays Passes for August Now! 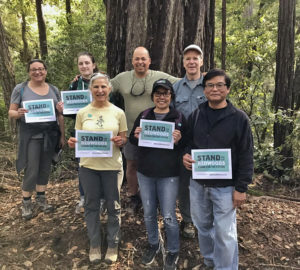 Every second Saturday of each month in 2018, Save the Redwoods League and California State Parks will be hosting a Free Redwoods Day. Parking passes are available on a first-come, first-served basis each month, ahead of the next event. Our next event is on August 11 — download your free pass now!